Stuart Fox, ESKO - The speed and precision of cutting and creasing is the governing factor in determining throughput. You will learn how far this technology has progressed and where it will go in the future. Linsey Brookes, Swanline Print - Taking a job from initial concept through to final design on a daily basis. Obtainreal world understanding on the challenges of effective design. Peter Kiddell, FESPA UK Association - Summit 2016 Introduction by Peter Kiddell of FESPA UK Association. What does digital mean to brand owners and design agencies? Silas Amos, Design Thought - Unlocking the business potential for digital printed corrugated packaging to create desire. Silas will help you innovate for profit. Tom Lindop, Smurfit Kappa - Exploit the options in corrugated materials. Do you know what is available? Jan De Roeck, ESKO - Humans need a platform to inspire them, machines need control. Capturing innovation and precision within a workspace. Get the very best from your resources with effective packaging management. 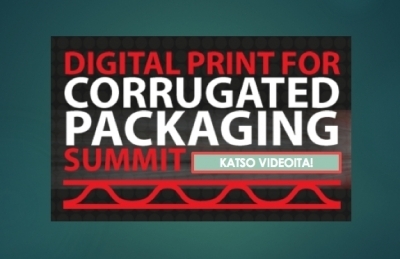 Neil Osment, NOA - Looking at consumer behaviour, the downstream impact on retailing, the demand of corrugated packaging, and offer predictions for the future on how he sees digital developing as a print process within the corrugated market in Europe.